AfC Info :: SEND Local Offer / Latest News / Parents, carers and their children and young people in Kingston and Richmond are invited to give their views on the new respite centre provider specification. Parents, carers and their children and young people in Kingston and Richmond are invited to give their views on the new respite centre provider specification. Under the Children Act 1989, the council has a duty as part of the range of services they provide for families, to provide breaks from caring to assist parents and others who provide care for disabled children. 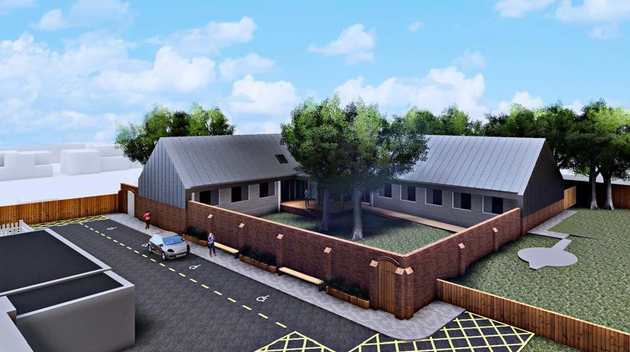 Achieving for Children, with Kingston Council, are constructing a new, purpose-built overnight respite facility at the Moor Lane site in Chessington. The building will provide short break care for children and young people who may have multiple disabilities, complex medical needs and challenging behaviour, and who are aged 8 to 17 years. The building will have eight bedrooms, two lounges, an accessible kitchen, and secluded outdoor space. We involved parents, carers and young people in the project in the early stages and your received feedback has helped shape and influence the design of the building. We are now at the stage where we are preparing the service specification for the new centre. We will be inviting suppliers to bid to deliver overnight short break care from Moor Lane as a single contract which will include the existing Croft Cottage in Richmond. By aligning the two services into a single contract, we will be better placed to secure a sustainable future for both facilities. The survey will be open for two weeks from the 10 October until the 24 October 2018. It seeks to gain your views on the type of service we intend on offering and gather your perspective on what is important to delivering excellent overnight short break care. We anticipate that the new contract will be ready to start from September 2019. In the meantime, we will continue to provide overnight short break care through Croft Cottage, High Ashurst and Warren Park. We have launched a page on the Achieving for Children Local Offer website to enable us to keep you up to date with the progress with the building work and the tendering of the contract for the new provider.